Cullen Bay Medical Clinic is encouraging people to put their health first in 2015. Whether it’s attention for a niggling health issue or a general check-up, the start of the new year is a perfect time to seek help. Practice owner and director Dr Harry Kypreos couldn’t agree more. With a focus on delivering personalised, high-quality care, Cullen Bay Medical Clinic prides itself on building trusted patient relationships to achieve the best in preventative and restorative healthcare. “I take time to listen to my patients, to give them the opportunity to talk and properly explain their situation and concerns,” says Dr Kypreos. Cullen Bay Medical Clinic offers a range of health services too, including general practice, travel health, pre-employment medicals, male and female health checks, skincare and skin checks and cosmetic injectables as well as aviation medicine. Conveniently located in Cullen Bay’s Marina Boulevard, patients can avoid the traffic and congestion of the CBD and take advantage of free onsite parking, with spaces for 300 vehicles. The clinic is open Monday to Friday from 9am to 5pm, and offers a same day appointment guarantee. The clinic also operates a mobile after hours service from 6pm to midnight seven days, servicing the city and northern suburbs. 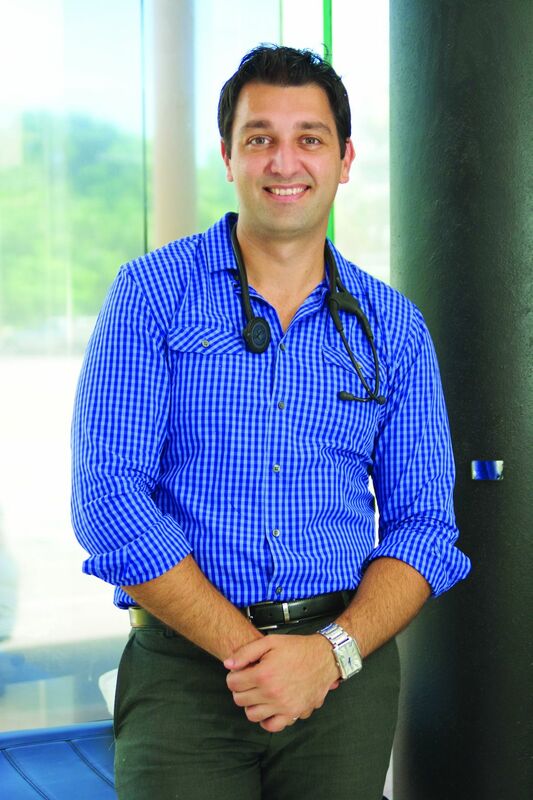 Providing quality, flexible healthcare is important to Dr Kypreos, who grew up in Darwin and left only to attend university in Adelaide before returning to the Top End to practice as a doctor. With degrees in Pharmacy and Medicine, Dr Kypreos offers patients a wealth of knowledge and specialist areas in aviation healthcare and cosmetic treatments. “Looking good and feeling good are very closely connected, and I found demand for these services in a trusted medical clinic environment,” he says. in will receive a free skin check. if they get 20 Units of Botox or more. contact Cullen Bay Medical Clinic today.